^ a b "Brands Hatch". 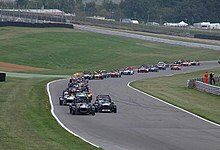 GrandPrix.com GP Encyclopedia. Retrieved 2006-01-18. ^ "Grand Prix Results: European GP, 1983". 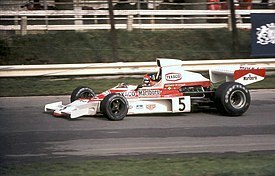 GrandPrix.com GP Encyclopedia. Retrieved 2007-01-20. ^ Treaster, Joseph B. (3 June 1983). "Auto Race Plan For Flushing Meadows Is Put Off For Year". New York Times. Archived from the original on 14 July 2012. Retrieved 2007-01-20. 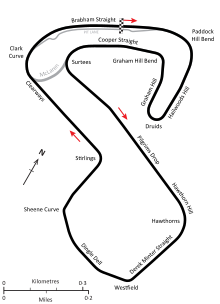 ^ "1986 British Grand Prix". formula1.com. Retrieved 2007-01-18. 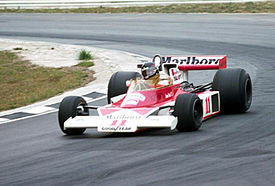 ^ "Mansell breaks Brands Hatch lap record". MotorSport Vision. 25 May 2004. Retrieved 2007-01-18. ^ "Shakey sets the fastest ever lap of the Brands Hatch GP circuit Saturday, August 06 2016". msv.com. Retrieved 2018-04-28. ^ "Ellison sets new lap record for pole at Brands Hatch Indy, Haydn Cobb on Sun, 16/04/2017 - 18:14". visordown.com. Retrieved 2018-04-28. 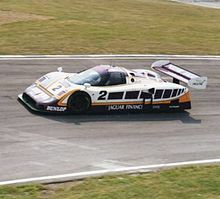 ^ "World Sports Prototype Championship Brands Hatch 1989 - All Session Laps - Racing Sports Cars". 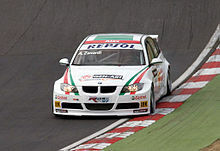 www.racingsportscars.com. Retrieved 2017-04-09.